Once again Howard has delivered! Whilst it took me a little bit of time to really get into this one, it turned out to be a real page-turner of a book. I loved the retelling of Phantom of the Opera and Howard has put so much thought into its creation and all the different elements she’s tying together. Her note at the end made me realise just how much. I love that this is a standalone (although I wish I had more time with Thorn and Rune) and it has me so excited at what is to come from Howard in the future! 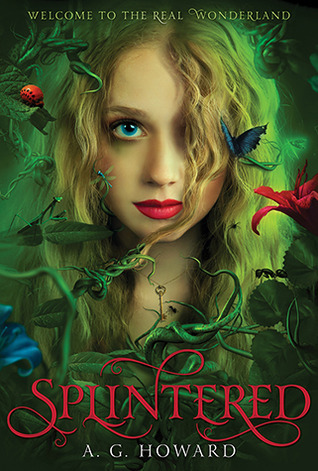 I was so excited for this book because I am such a fan of Howard’s books – her way of making retellings is my FAVOURITE. 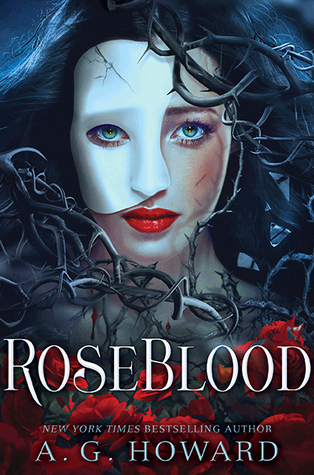 RoseBlood was no exception. 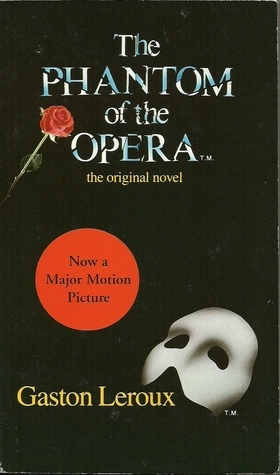 This is a fantastic spin on the beloved story of the Phantom of the Opera – a musical that I am far too obsessed with. 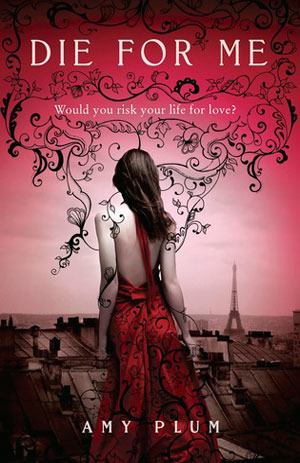 It follows a girl called Rune who, upon hearing opera music (arias) is compelled to sing them – and she does so astonishingly well. This leads her to a school called RoseBlood where her mother hopes she might get some control of this strange affliction. HOWEVER – being a Phantom retelling and the school having known ties to the legend means it’s far more exciting than that. Rune soon discovers a boy called Thorn to whom she finds herself inexplicably drawn. He plays the violin and has the ability to help her with her song. Her initial problems with schoolmates and general teenage concerns soon become unimportant. But before long we learn that Thorn’s ties to the real phantom force him to make a choice – one that could harm Rune or make him a stranger to the only father he’s ever known. It’s so good and so well done and the more you read the harder you’ll find to put it down. So much is happening here and the mystery of the phantom’s motives for getting involved with Thorn drew me further and further into the story. The retelling aspect of this book is on point. I feel like I’ve read a few retellings lately that are so far from the original story I forget that it’s supposed to be a retelling. This book reminds you at every turn that you’re not only in a retelling but experiencing a legend come back to life through Rune’s eyes, too. The thing I liked about this retelling is that Rune has read Leroux’s book (the author of THE Phantom of the Opera) — so it’s like a retelling within a retelling . . . sort of. She knows of the school’s ties to the legend and is immediately making connections of mysterious events or shadows to the possibility of the phantom still haunting the building. So whilst we know the phantom is going to appear and we know that Rune is caught up in a retelling of it, we don’t know in what direction the retelling is going to take. It’s all a glorious bundle of mysteries. Spiced up with some seriously sad backstories, of course. The modernisation of the story was done impeccably well. I can’t say too much without giving things away but the underlying intentions of the phantom which drive the plot line were astounding when revealed and the way the old is weaved into the new was so great. The club scene was particularly cool. The temporary nature of living was what made it invaluable. Rune was a good main character. Whilst she didn’t stand out from the crowd for me her complex problems and issues with trust make her more than a cardboard cutout. I loved that in this story she can’t help but sing when she hears those songs — it’s just so fitting with the whole phantom thing. I thought Howard did a really good job of making her a modern Christine Daaé. Thorn, however, is one of my favourites. He touched a soft spot in me; his backstory not only broke my heart but left me wanting a lengthy novella to explore it more. His relationship with the phantom was a constant tug of war trying to find the caring man within a character we know so well to be demented and mostly insane. He’s such a sweetheart though; the way he interacts with Rune is beautiful and his tender side makes me want to protect him as though he were a duckling. The phantom was such an interesting character. I won’t say too much so as not to spoil you, though. He’s very complex. Very. We get a nice little back story to him too although it takes much longer to come out than for the other characters. His role in this book remains obscure for so much of it and I really enjoyed guessing where and how he was going to come into play. 10/10 for recreating and modernising the phantom. I really enjoyed this. Each of Howard’s books is so unique and so well done – it speaks to my imagination. I hope that Howard continues to write an infinite number of retellings, particularly lesser done ones in the YA category such as Phantom because damn, this was good. I don’t think I could ever have dreamt up this spin on the story even if I’d tried. So to all you Phans out there: GET READING. Get a Copy . . .
Support an Australian company and snag a great deal from Angus & Robertson Bookworld! Use Booktopia’s current free shipping deal by using their promotional code [SPRINGTIME] to support an Australian company and get a great deal! I am an affiliate with this companies. Buy using these links to purchase a book I earn a small commission which helps to support Upside-Down Books! Definitely try it again!! I couldn’t work it if it was a slow start or the fact I started reading it in March and didn’t pick it up again until now 😂 it suddenly get stupidly good though. Also Thorn will make you weak at the knees 😘 I can imagine that red font is quite the eye sore on an e-reader haha audiobook could be awesome! Hey Kirstie! 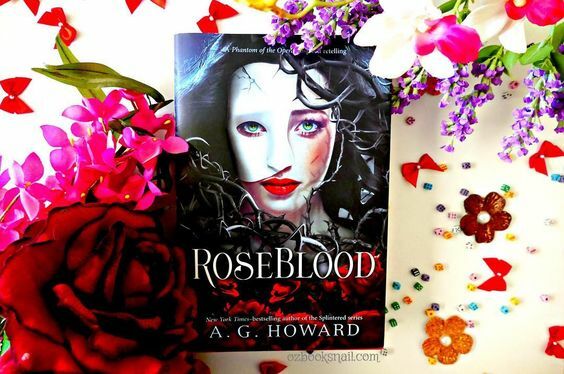 I haven’t read Roseblood, but had heard great things about it. I can’t remember the last time I watched The Phantom of the Opera, but I remember really enjoying it. I love the fact that this book spoke to your imagination – I’ve been craving a book that challenges my imagination, so maybe I’ll give this a go? Great review! Thanks!! Fingers crossed you like it as much as I did! It certainly does the original story justice through this retelling if that makes sense – so many intriguing elements have been added to it! Eeep YES I loved it so so much too!! AG Howard never disappoints.❤️ And also omg Thorn was such a cutie and I loved the music playing aspect the best. 😍 Did you know she’s writing a Princess And The Pea retelling for next year?! I’M SO EXCITED!! !